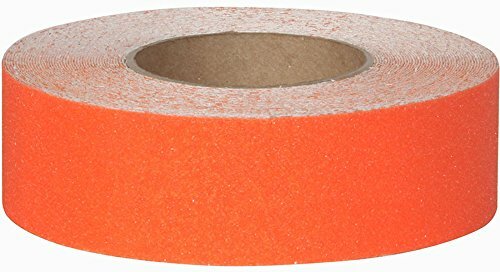 The is an 60 grit commercial grade non-skid grit tape from Safe Way Traction - Has been designed for most general purpose applications. This product was engineered to exceed OSHA Standards by providing a durable, consistent non-slip surface. Designed to increase safety by improving foot traction, this safety orange color draws visual attention to areas that might require additional caution. Quality Raw Materials Long life, durable, and resistant to heavy traffic, water, and grease. Abrasive Grain Provides a consistent co-efficient of friction. Simply position, peel-off the backing paper and apply to a smooth, clean, dry, oil free surface. Low Profile Helps prevent edge curl. If you have any questions about this product by Safe Way Traction, contact us by completing and submitting the form below. If you are looking for a specif part number, please include it with your message.